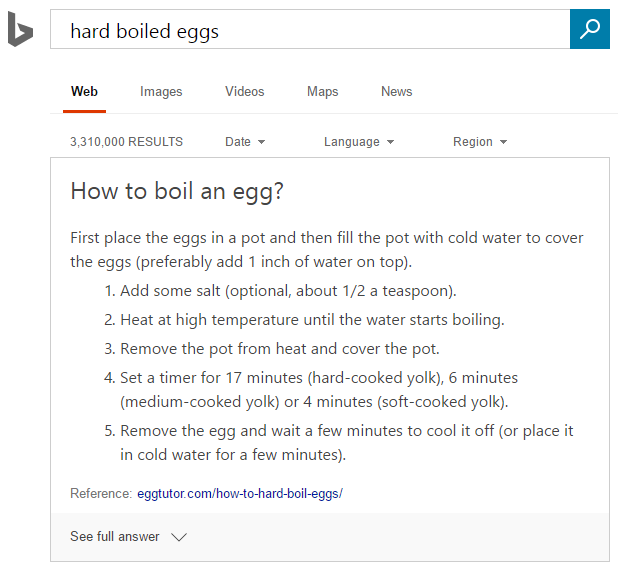 Bing Adds Expandable Featured Snippets to "See Full Answer"
Bing has added a new type of featured snippet to their search results, and site owners likely won’t be very happy with this one. 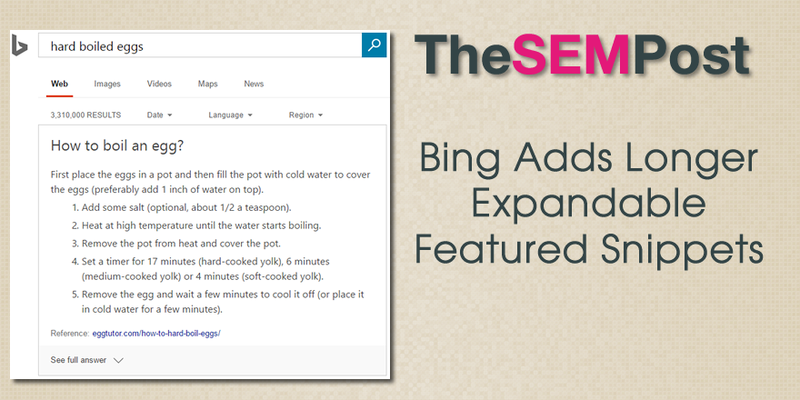 Bing will display a usual sized featured snippet, but instead of requiring a clickthrough to the actual publisher’s site for more details or information, Bing is offering a new “see full answer” expandable featured snippet, which shows even more of the content from the website the featured snippet is taken from. This is significantly longer than a regular featured snippet we see from Bing or Google. This particular one is 131 words. One of the drawbacks of having a featured snippet is that there is the potential that the searcher will find the answer in the featured snippet and not need to click through. 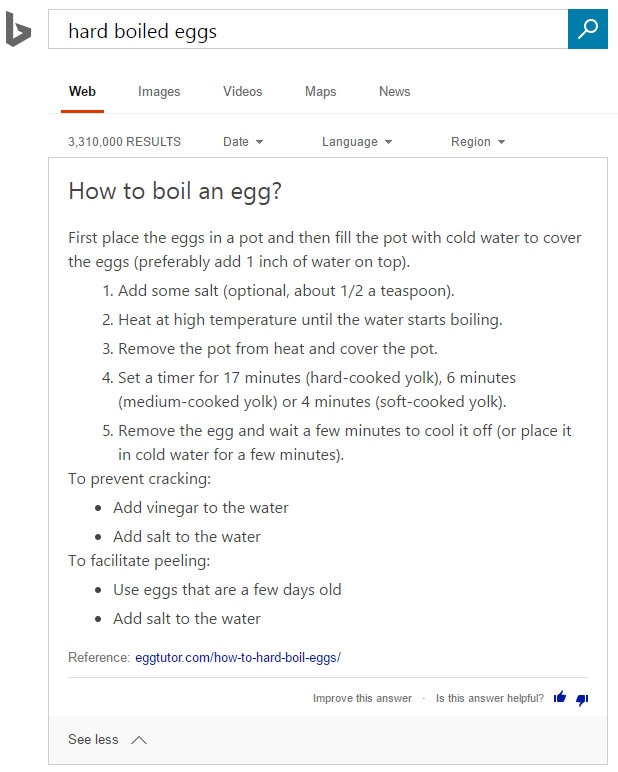 And for more complex answers that give the basic answer in the featured snippet but requires a clickthrough for more information or the full instructions, having an expandable featured snippet negates the possibility that someone would click through to the site, when they can get it all within the search results instead. It will be interesting to see feedback to this style of featured snippet… I suspect while it might be helpful for searchers, publishers – who are seeing their content used for free – might not be so happy with it.